Changes in Arctic vegetation can have important implications for trophic interactions and ecosystem functioning leading to climate feedbacks. Plot-based vegetation surveys provide detailed insight into vegetation changes at sites around the Arctic and improve our ability to predict the impacts of environmental change on tundra ecosystems. Here, we review studies of changes in plant community composition and phenology from both long-term monitoring and warming experiments in Arctic environments. We find that Arctic plant communities and species are generally sensitive to warming, but trends over a period of time are heterogeneous and complex and do not always mirror expectations based on responses to experimental manipulations. Our findings highlight the need for more geographically widespread, integrated, and comprehensive monitoring efforts that can better resolve the interacting effects of warming and other local and regional ecological factors. The online version of this article ( https://doi.org/10.1007/s13280-019-01161-6) contains supplementary material, which is available to authorized users. ADB was supported by The Danish Council for Independent Research: Natural Sciences (DFF 4181-00565 to SN); MGC was funded by the University of Edinburgh, IHMS by the UK Natural Environment Research Council (ShrubTundra Project NE/M016323/1); and SN was funded by the Villum Foundation’s Young Investigator Programme (VKR023456). Christensen, T., J. Payne, M. Doyle, G. Ibarguchi, J. Taylor, N.M. Schmidt, M. Gill, M. Svoboda, et al. 2013. The Arctic Terrestrial Biodiversity Monitoring Plan. CAFF Monitoring Series Report No. 7. Akureyri: CAFF International Secretariat. https://doi.org/10.9752/ts056.10-24-2013. Kerby, J., and E. Post. 2013. Capital and income breeding traits differentiate trophic match–mismatch dynamics in large herbivores. Philosophical Transactions of the Royal Society of London. Series B, Biological Sciences 368. https://doi.org/10.1098/rstb.2012.0484. Vowles, T., C. Lovehav, U. Molau, and R.G. Björk. 2017. Contrasting impacts of reindeer grazing in two tundra grasslands. 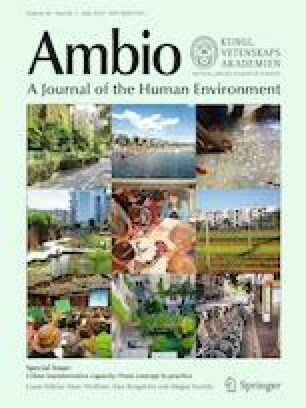 Environmental Research Letters 12. https://doi.org/10.1088/1748-9326/aa62af.